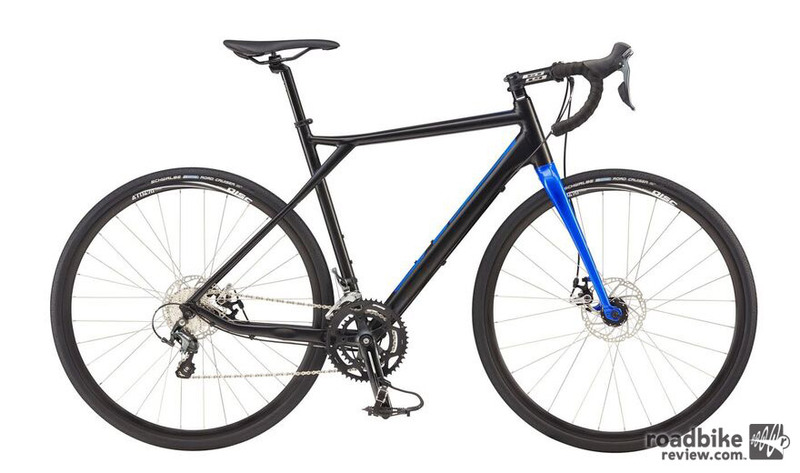 New for 2017, the GT Grade Carbon Tiagra brings carbon performance with an affordable price. 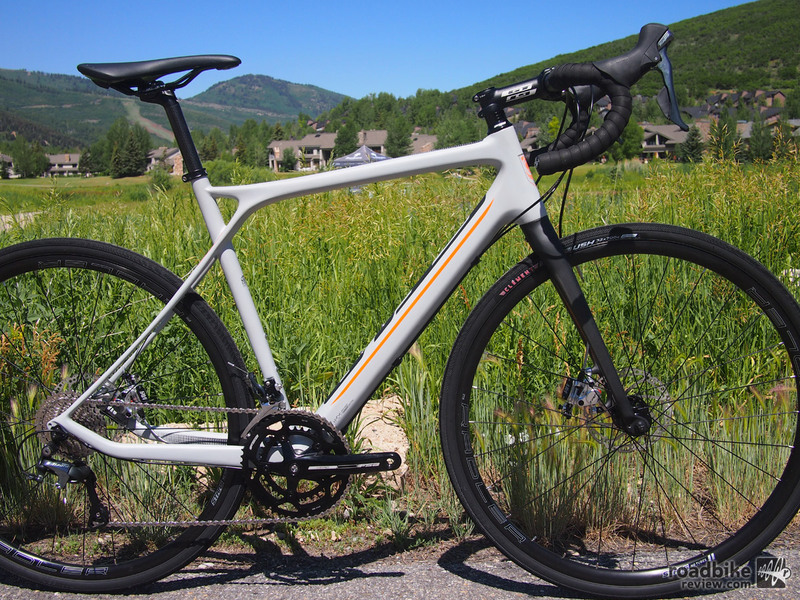 At the Bike Press Camp event held recently in Park City, Utah, GT was on hand showing their newly updated “EnduRoad” bikes. 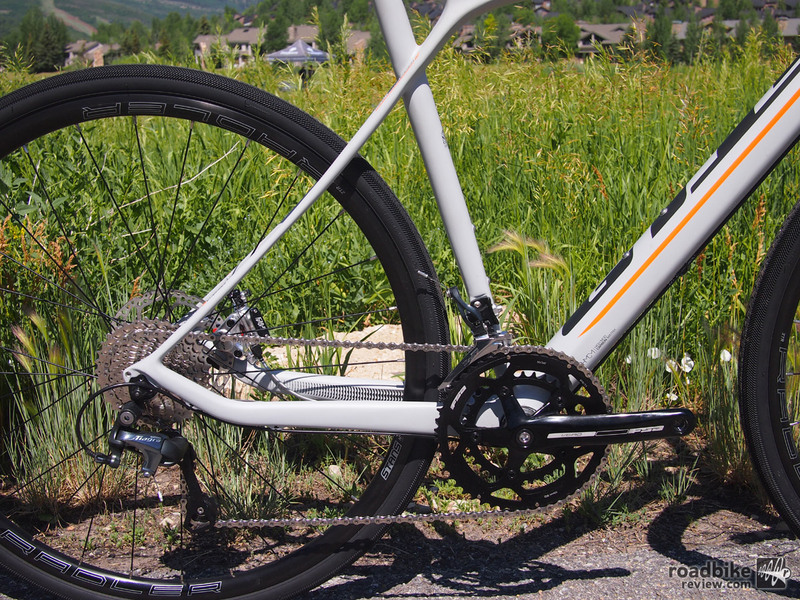 What is EnduRoad? 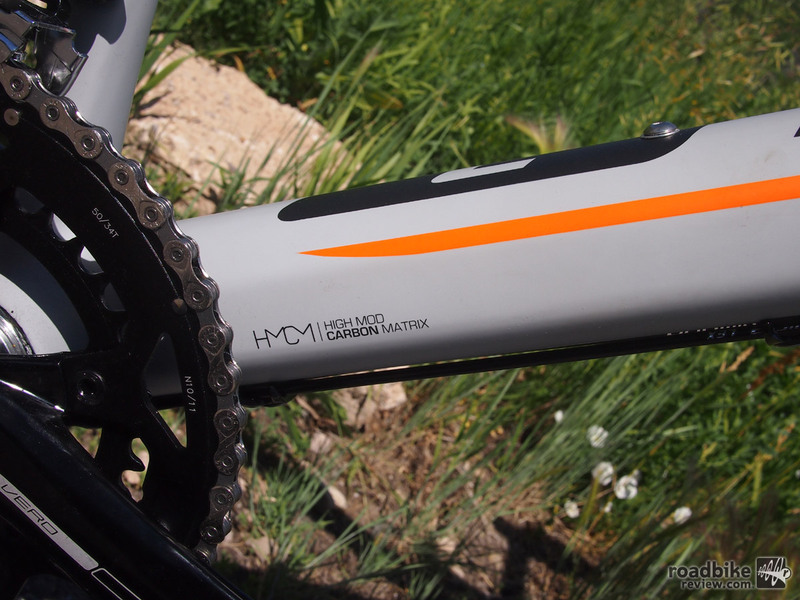 It is the newest name for a gravel grinder/adventure/touring rig with gravel tires and a play on the popular “enduro” category of mountain bikes. 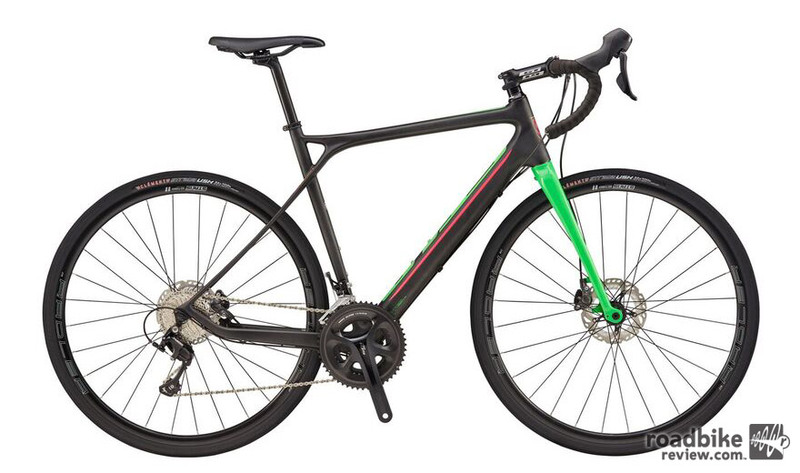 The top of the line Grade comes with a SRAM Red drivetrain, hydraulic disc brakes, carbon fork with carbon steerer and thru-axles front and rear. 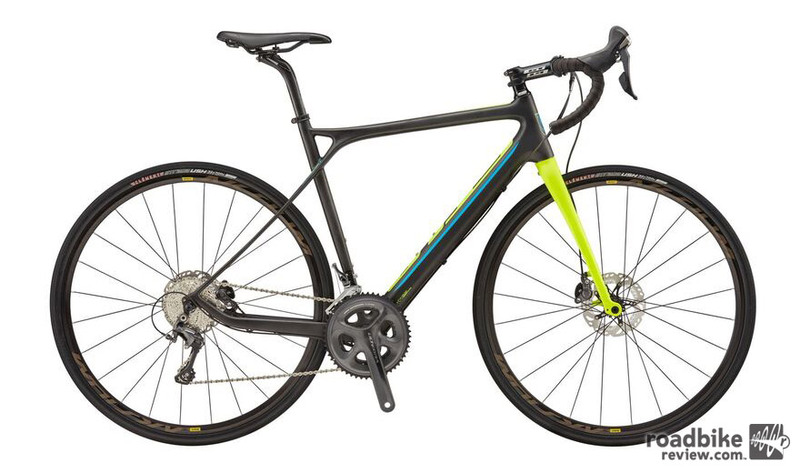 Highlighted here is the Grade Carbon with a Shimano Tiagra drivetrain, carbon fork with alloy steerer, TRP cable actuated hydraulic disc brakes and standard quick release axles. 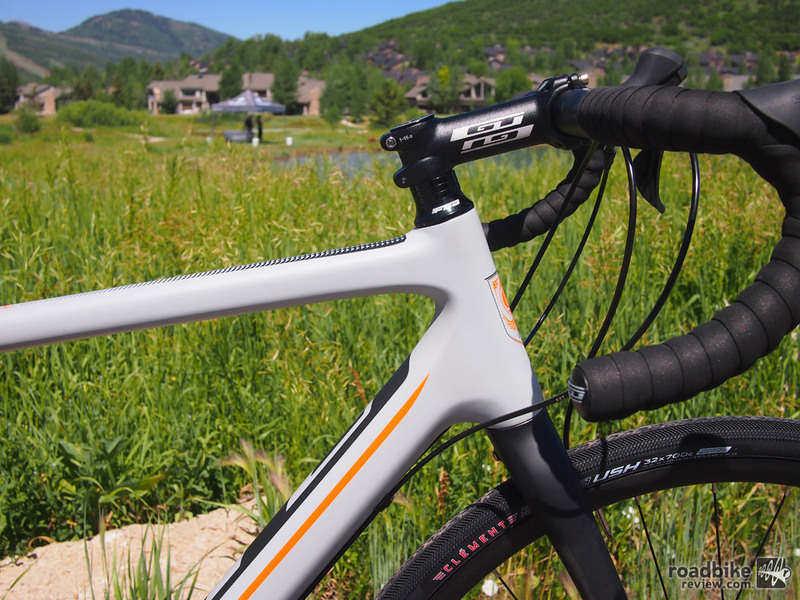 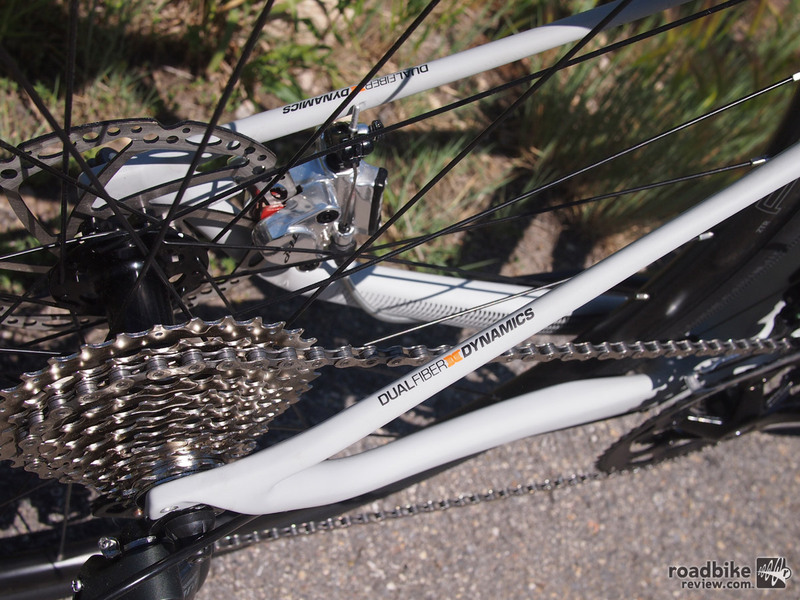 Above the Tiagra level, the Grade comes with thru-axles and a carbon steer fork. 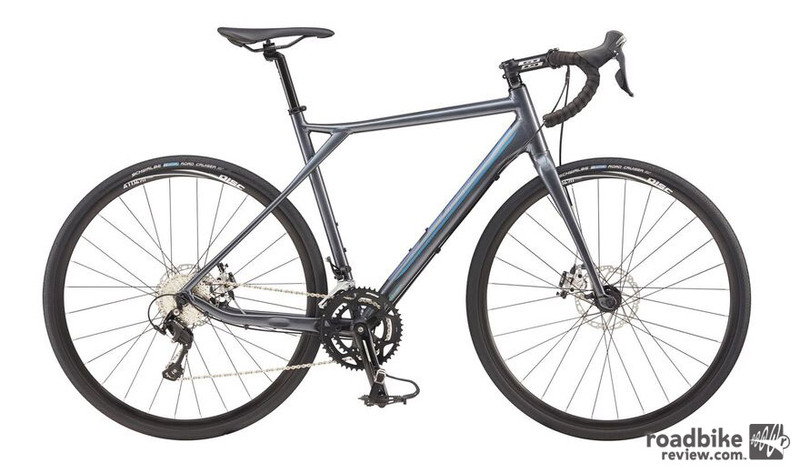 GT’s signature Triple Triangle Design allows the seat stays to feed road vibrations into the top tube instead of directly into the seat tube (and the rider’s rear). 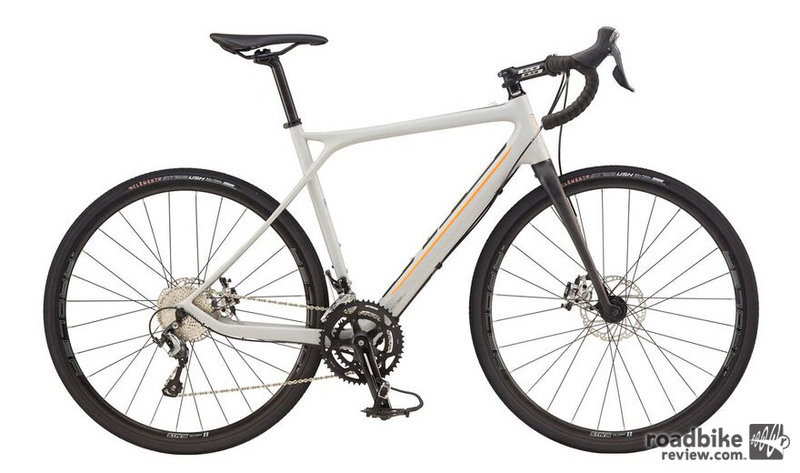 The Grade can fit up to a 35c tire but the Tiagra version shown here comes spec’d with a 32c. 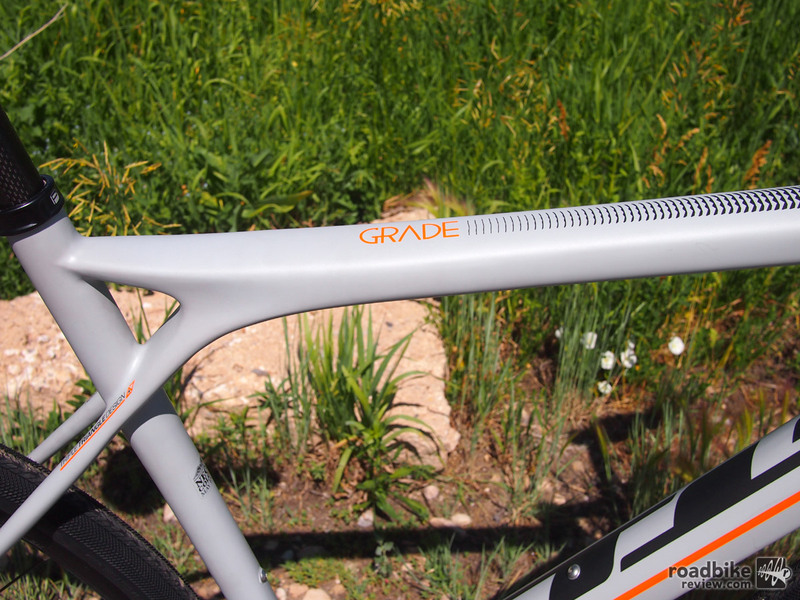 The more affordable versions of the Grade will be available late July and the higher level models (Ultegra, Red) will be available late summer/early fall. 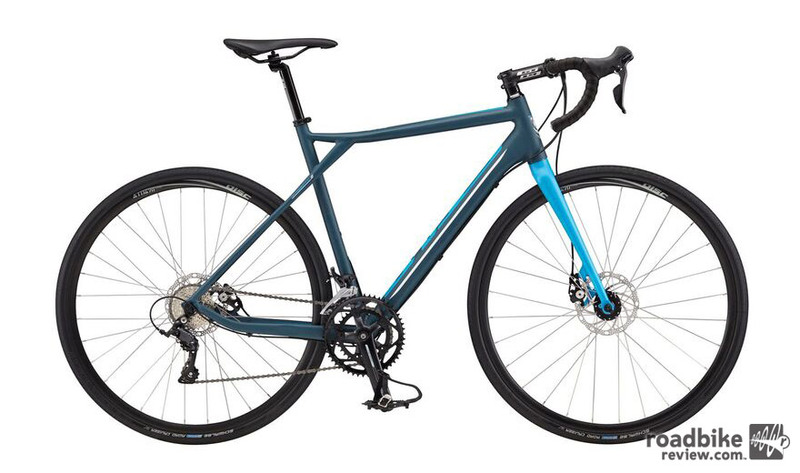 According to GT, the Grade has been designed with “comfortable geometries paired up with a stiff and durable frame.” There is no doubt that the market for adventure road riding is expanding and it is smart for GT to give options for the gravel rider with limited funds. 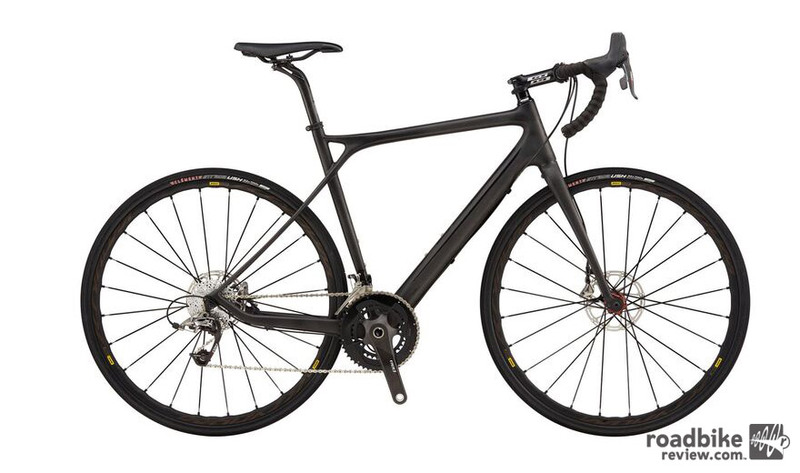 The GT Grade Carbon Tiagra uses cable actuated TRP HY/RD disc brakes. 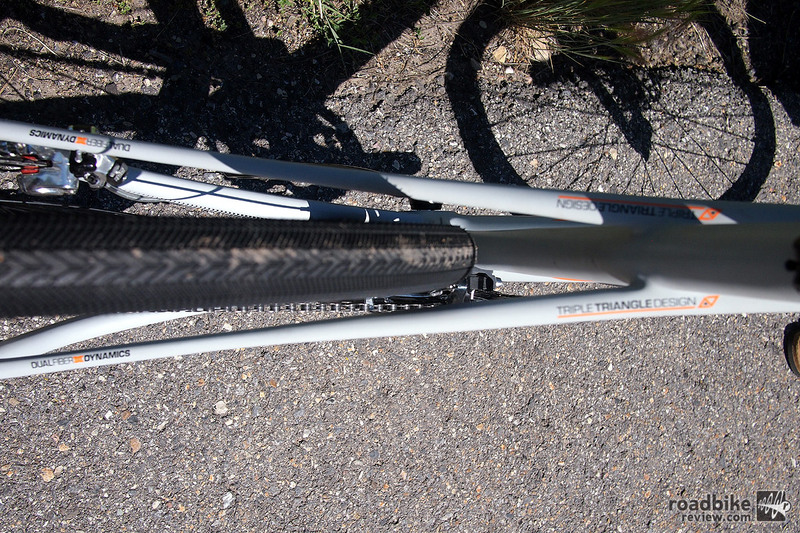 GT built a certain amount of flex into the rear end of this bike to provide comfort and control. 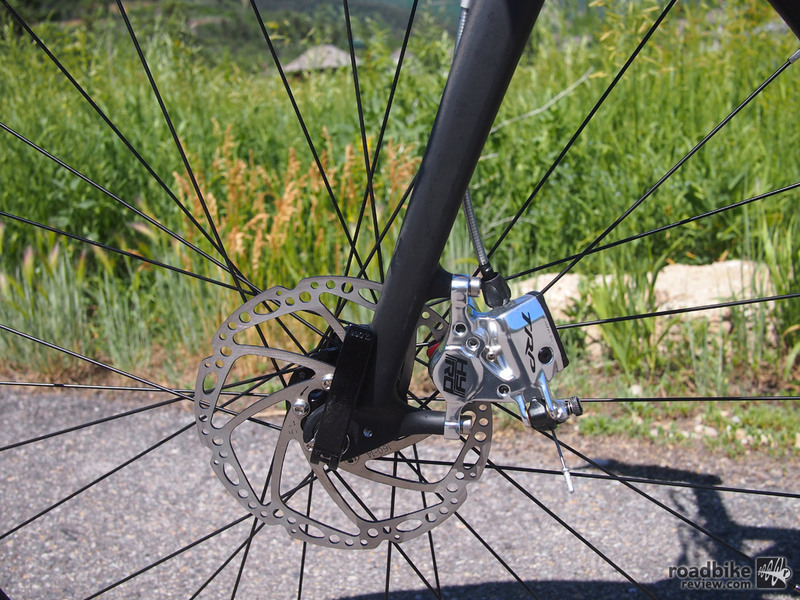 A close-up of the TRP HY/RD disc brakes. 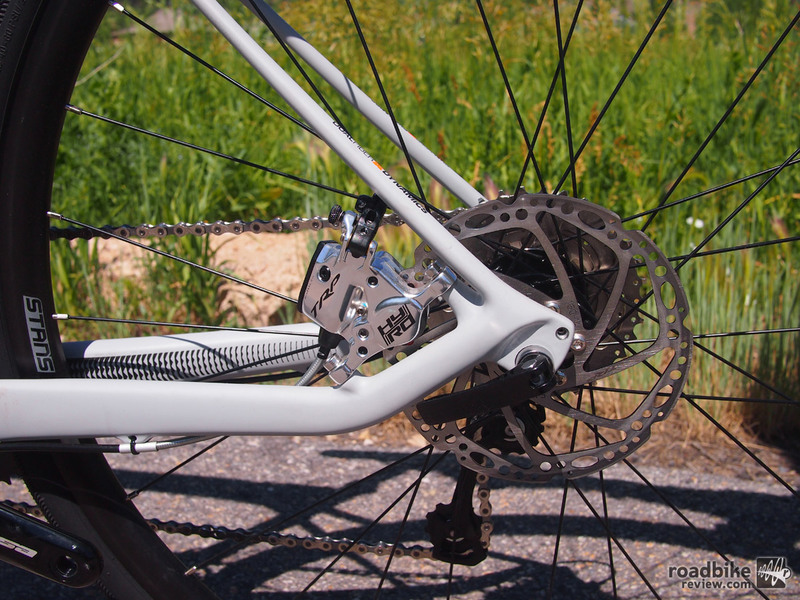 A shot of the rear of the bike and the 2×10 drivetrain. 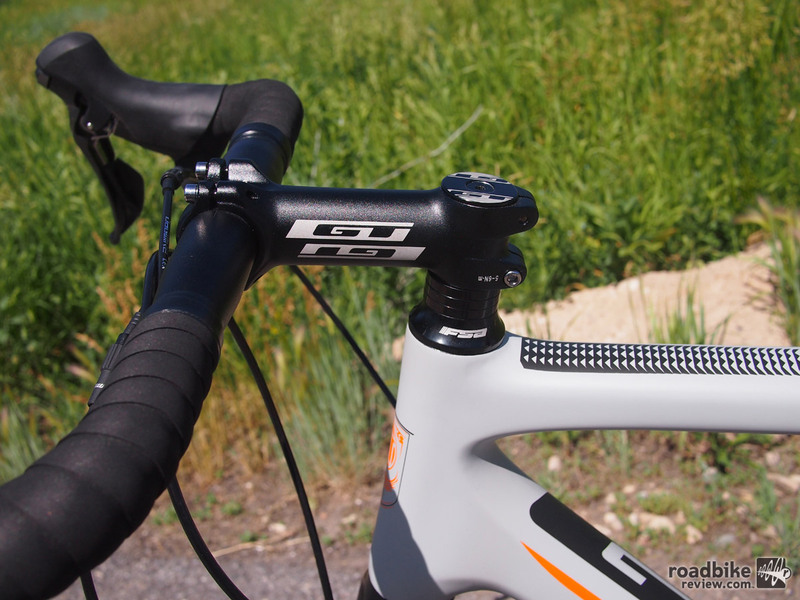 GT house brand bar and stem help keep this model affordable. 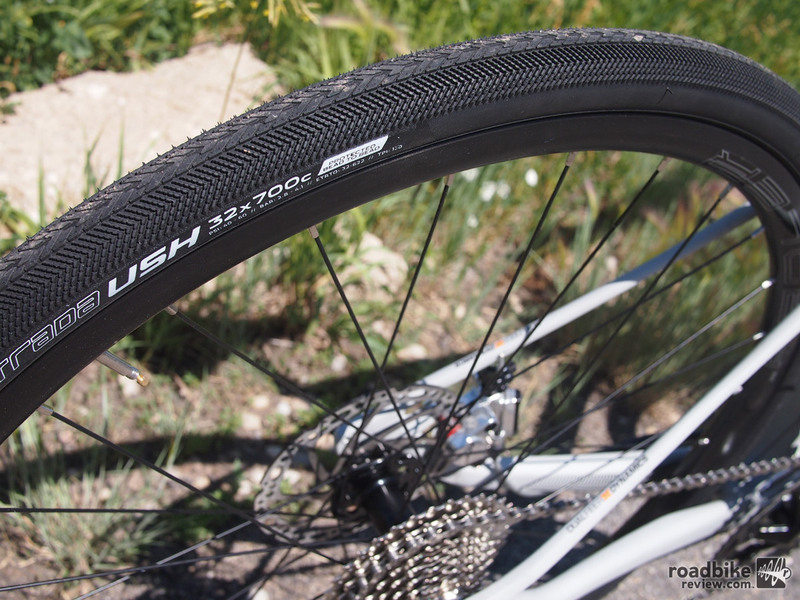 The GT Grade Carbon Tiagra sports 32c Clement Strada USH tires. 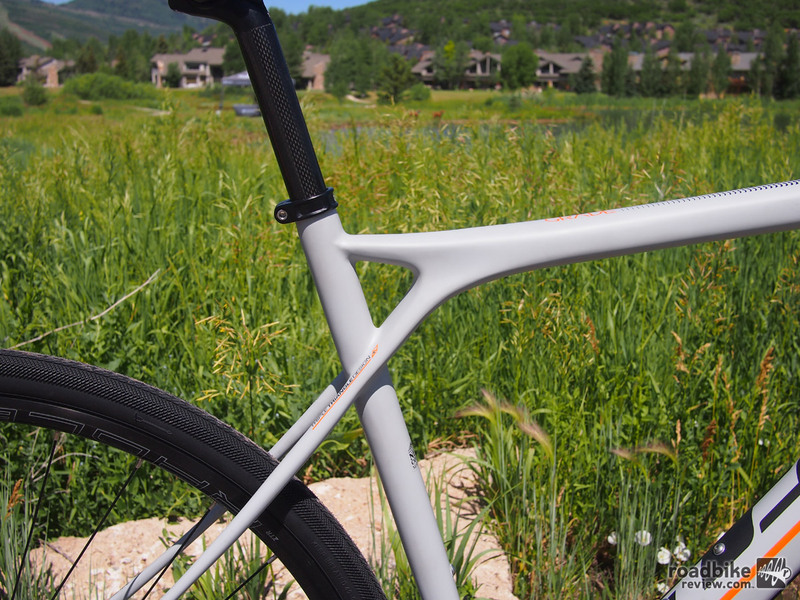 The GT Grade frame is full carbon. 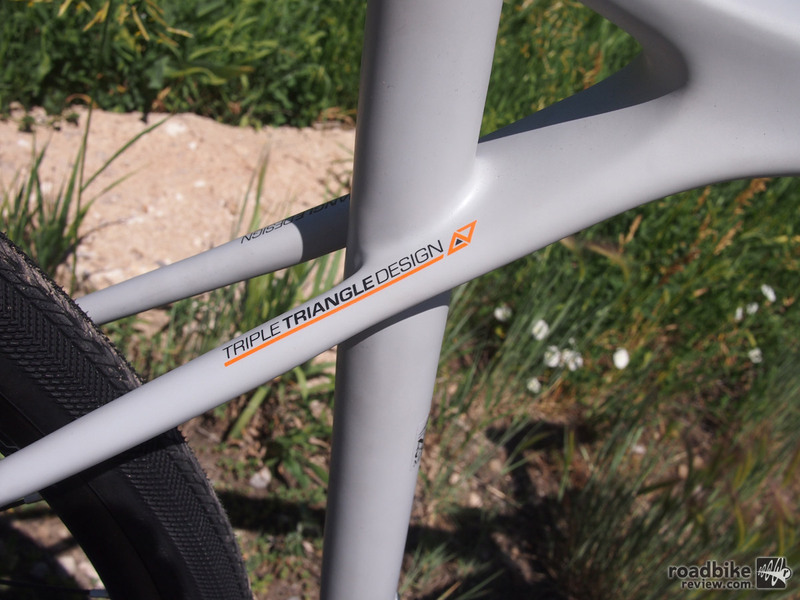 A close up shot of the Grade’s triple triangle frame. 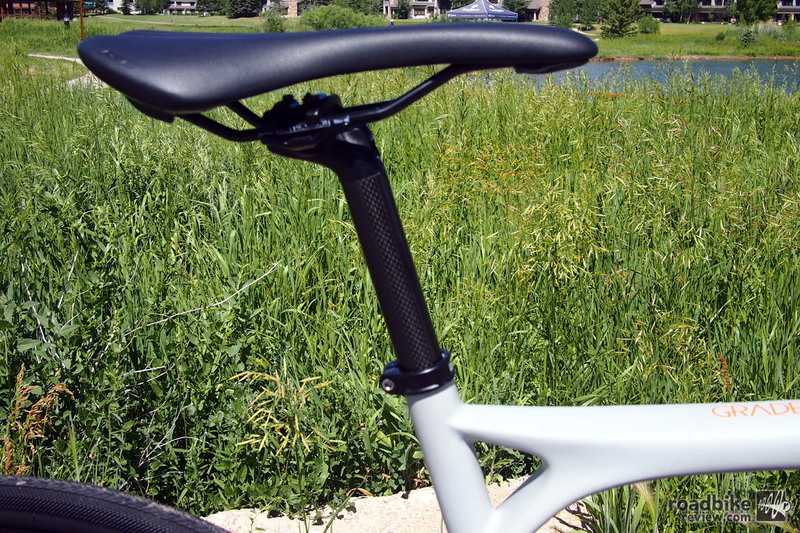 The carbon seat post adds to the road dampening ability of the Grade. 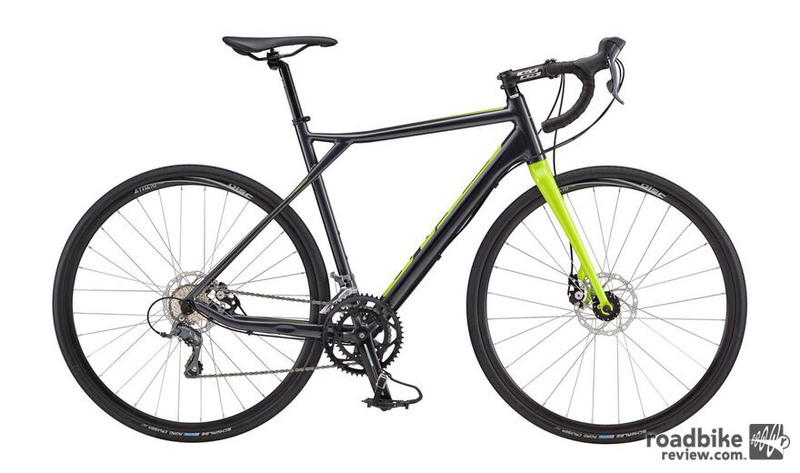 With no rear cross brace, there is plenty of room for wide tires.